Every online marketer seems to be telling you to build your email list. They (& I) will tell you how to do it: Create an opt-in, set up your email system and get the signup. Simple. But what many people don’t talk about is what to do afterwards. 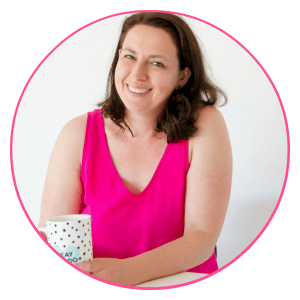 Well, that ends here as I’m going to share what to do with your email list well after they subscribe – so that you are building relationships, trust and connection. Because your email list is your business’s biggest asset – if you use it and if you nurture it. Before we get stuck into the ideas, there are a few things you need to understand. Showing up consistently for your audience especially when you don’t have something to sell is what will get them to connect. You don’t want to be that person who just sends emails every few months when you are asking for something from them. Instead, send them more often. This will challenge you to lead more with service which is the right attitude to have. What gets people to open emails is knowing that on the other side of the click there is something in it for them. This means giving them some information or inspiration that will help them in some way or just puts that smile on their face. Then when you do have a big ask email they will either buy (yay!) or they won’t mind because you have been giving them the good stuff. Don’t try to follow some script or formula. Instead, just write like you normally would (with a little bit of copy structure) and connect with your audience on a real level. Write your emails as if you were just writing a letter to one person instead of some highly polished thing. They’ll turn out much better this way and are much simpler to write. Win. Win. The best thing you can do to build a relationship with your new subscriber is to make a great first impression. Even if you aren’t into the whole sales funnel thing it is important to send a few emails (all automated) to welcome them to your community. Really this is just good manners and shows that you don’t take their subscription for granted. It is likely that your subscribers will have different needs at different times. Or that they have signed up for different interests. With modern email software, you can now create more personalised experiences based around this information. This could be as simple as “tagging” them as interested in a certain topic and only emailing those with that tag when you talk about a topic. Or it can be as complicated as creating a full custom series of emails that takes them on a journey through that topic. Either way instead of just sending everything to everyone you can really meet them where they are at and send them emails that support them at that stage. Emails don’t need to be a one-way experience. And one of the best ways to ensure that doesn’t happen is to give your subscriber something to “do” in each email. By having them take an action it builds a more two-way relationship which will make them more likely to open, more likely to engage on other platforms and more likely to buy. Follow you on Instagram, Facebook, LinkedIn, etc. Story is one of the most powerful marketing tools at our service – and yet is one of the most underused. It is easy to talk about top tips, how to’s and best of’s. But sharing stories requires something a little bit deeper. And that’s exactly why you should do it. And email is the perfect place to start as it’s a little “safer” than publishing something publically. You can get more vulnerable without the risk of trolls having a go. You can go deeper into sharing your struggles (past or present). But you can also share humorous stories from your day. Or a great analogy or lesson learnt. Or something from a TV show you love. These can be highly effective as they show you are “just like them” and therefore like you more and are more inclined to want to read. The only relationships more important than those of your subscribers are those of existing customers. So often we forget this group when it comes to email marketing but your email software can become your best friend in providing customer service and getting repeat business. All of this ensures that no customer is left behind. I mentioned this above in the engagement section but this one is worth going deeper with. By asking questions of your audience not only are you providing a means in which to start a personal conversation with them but you are also learning more and more from them. This is what will give you the content ideas for your blogs, social media posts, videos and emails. And it will be what your audience wants and needs from you. And sometimes this can differ greatly from what you “think” they need. 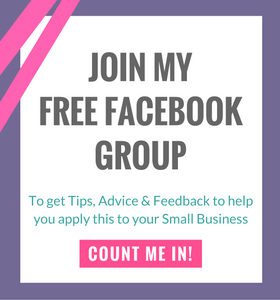 By coming from a place of questioning, service and getting a little bit vulnerable, you will establish a greater level of connection with your ideal customer and build some amazing long term advocates for your business. And email is the perfect place to explore this as it is already a curated list of your most interested leads and it’s not so public as something like social media. 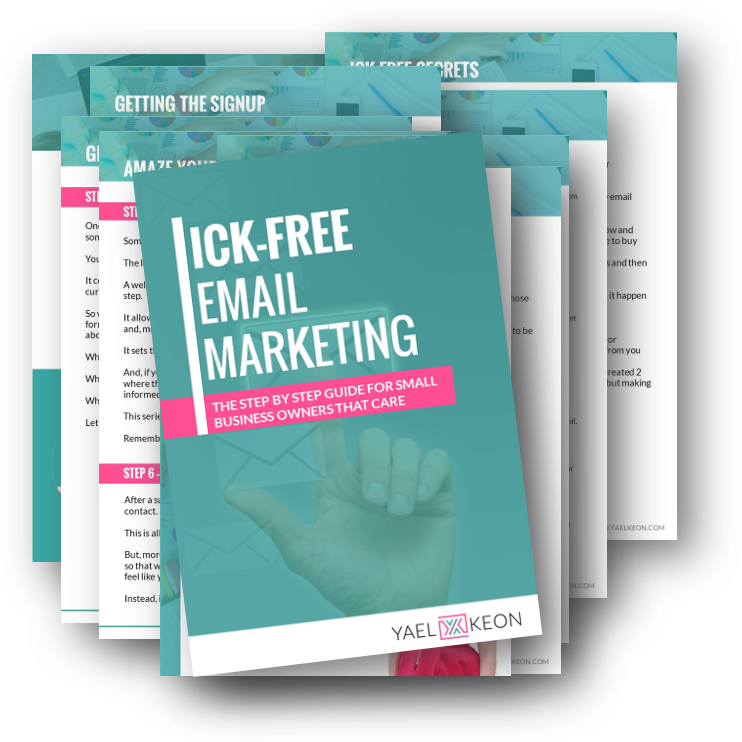 Ick Free Email Marketing is Possible!